Budget car rental is a car hire company that you will not only find in various parts of South Africa but also in worldwide destinations. With Budget car rentals you able to easily book the car that you need via their online system which makes it an easy process. You will also be able to get a quote from them via their website. You are able to hire a car from Budget for as long as you need whether it’s just for a day or for a month. 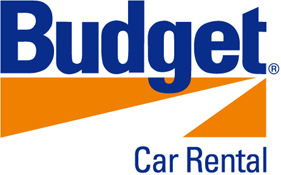 Budget car rental can be found in over 3000 locations around the world as well as at major airports. Not only are you able to hire a car but they also offer a transfer service taking you from the airport for instance back to your home. They offer car hire to cooperate individuals and if you hold one of their loyalty cards you can earn discounts. As an individual looking to hire a car you will have a wide selection to choose from. Not only that, but Budget car rental also has pre owned cars for sale if you are looking to pick up a car that is well maintained. Also don’t forget those extras like child seats and a GPS when you hire your car from Budget car rental.